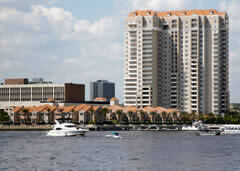 The city of Jacksonville is a huge sprawling one that is found in the northeastern part of Florida. It’s located just at the estuary of the River John and the Atlantic Ocean. It is home to several big businesses, making a center for commerce in the region. Jacksonville is often overlooked as a vacation spot but there are numerous fun filled activities that visitors to the city can partake in such as surfing and swimming, to name just a couple. 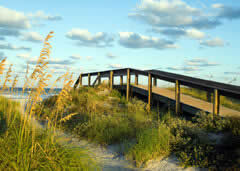 Some of the more popular spots for fun activities include Jacksonville Beach and Neptune Beach. The headquarters of the PGA golf tour is also located in here. Here are some places that you and your family can consider visiting while in Jacksonville. The Yellow Buff is a historical site about 10 miles from JAX was erected during the American Civil War by the Confederate troops to keep the Union boats from attacking. The fort did not see widespread action at the time of war but is still a very interesting historic site. If you’d like to get to know the history of Jacksonville try visiting the Jacksonville Historical Center. From the days when it homed the Timucuan Indians and its transitioning into a major port. The best part is that it is only about 15 miles from JAX airport. A popular attraction is Adventure Landing which is about 25 miles from the airport. Adventure Landing is on the east of the Intracoastal Waterway and features laser tag, go-karts, mini-golf, batting cages, bumper boats, video arcades and various snack bars. This is a family entertainment center which can be enjoyed by kids and adults alike. The Waterpark has 11 waterslides and a large wave pool. Another attraction that you won’t want to miss is the Alhambra Dinner Theatre. The Alhambra Dinner Theatre used to feature professional musical comedies in Broadway style years ago in this 400-seat theatre. There is a wonderful buffet and large selection of beverages. Commonly referred to as JAX Airport, the Jacksonville Airport serves the business and recreational flying needs of its passengers. The airport is accessible to the City of Jacksonville, north east Florida and south-eastern Georgia. JAX Airport is located about 13 miles north of downtown Jacksonville in Duval County, Florida. You could enjoy your layover at the airport by visiting and enjoying the downtown area and all it has to offer. Jacksonville International Airport has the convenience of being 13 miles outside the city, giving it travelers the advantage of being out of downtown traffic’s way, but still close enough to reach a huge range of hotels without any hassle. Hitch a ride with one of our many shared ride vans and ride with others for a relaxing and affordable trip. If you need a ride back to JAX Airport, you can schedule a pick up time to make sure you don’t miss your flight. 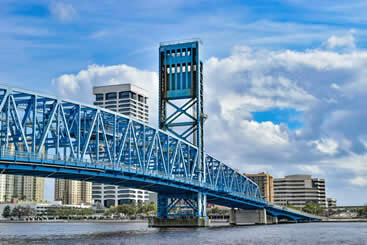 Jacksonville is known for its huge art and history district, so whether you want to check out the interactive planetarium exhibits at the astounding Museum of Science and History or stand in awe at some of the world’s greatest ancient and modern pieces of art at Cummer Museum of Art and Gardens, you can enjoy learning together by riding in a private van. Be sure to contact us for any existing deals, picking out from a variety of spacious vehicles designed to make your vacation run as smooth as possible. See some of the greatest things Jacksonville has to offer and ride in unmatched intimacy by reserving your very own private sedan from local transportation hub. Check out the city’s nightlife by taking a ride to Jacksonville Landing, a massive shopping strip that is home to tattoo parlors, fine dining, and amazing night clubs, not to mention the vibrant downtown atmosphere. While you’re out on the town, go for a stroll through Friendship Fountain, a refreshing monument by day that turns into a fun light show by night. Take a fun family trip to exciting Jacksonville landmarks like Hanna Park, which is host to all kinds of oceanic fun like fishing on a lake and opportunities for surfing classes. Get there together safely and with comfort by making sure you have your very own private SUV for the trip, courtesy of our local service providers. While you’re out gallivanting, take everyone for a hike down Fort Caroline, an amazing trail and beautiful park grounds made perfectly for watching sunsets and going on long walks. See all there is to see by checking out Jacksonville’s greatest eateries, whether it be the extraordinary environment of bb’s restaurant and bar or the elegant wine at the tasty Wine Cellar. Arrive to these locations and more by showing up in a stylish limousine of your choosing. Choose a vehicle and get a ride in absolute class to fantastic destinations like the lux cocktail bar, Sidecar. Jacksonville is a big city, which makes it perfect for big tours. Take one by getting everyone together in a chartered bus, the perfect vehicle for big-time city traveling. Book a ride and show up to roomy destinations like the Jacksonville Riverwalk, filled with beautiful architecture and a variety of unique shops. If you’re not content with a downtown stroll, take the bus over to the astounding Big Talbot Island State Park, a massive wildlife habitat with natural wonders only Florida can provide. There are numerous excellent beaches found in Jacksonville for water sport and beach lovers to choose from. 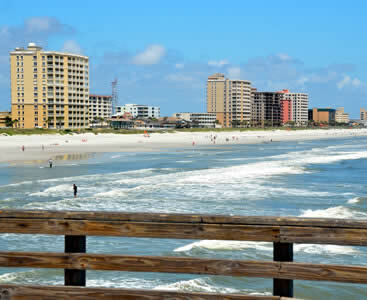 Jacksonville Beach, Neptune Beach or Atlantic Beach are all great choices. Sunbathing and splashing in the water are certainly a great way to spend a day. If you are looking for more activities you can enjoy your visit to any of the area’s beaches by fishing or boating with your family. Other things you can do while at the beaches include Kayaking, surfing or paddleboarding. → Jacksonville Beach is for sure one of the area’s most popular beaches among locals and tourists alike and it’s not hard to see why. With a golf course and wide variety of restaurants this beach is a must-see. → Neptune Beach is often enjoyed as a more laid back and less crowded alternative to Jacksonville Beach. There is plenty of shopping and a good selection of restaurants to choose from too. → Atlantic Beach is home to Hannah Park which has become a beacon for surfers. The area is also ideal for beachcombing and camping. Jacksonville is home to some of the country’s most interesting parks and zoos. You can go and visit the Jacksonville Zoo and Gardens which is situated just at the source of River Trout. Taking your family to this zoo will be a memory that remains with them for years to come. → This park covers an estimated area of 117 acres with more than 2,000 animals and over 1,000 plants found in its grounds. 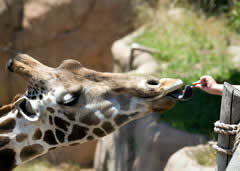 → The zoo features lots of exhibits including talks led by the zookeepers, countless animal encounters, a train, a carousel and even a 4D theater. This is a historic park found in the Jacksonville. The Beaches Museum and History Park is housed in a 19th century railroad depot which was restored in the late 1990s. There are many interesting things that you find in this park that will leave you and your family amazed. → First is the 28 ton 1911 steam locomotive that was used in the early 1900s that you are able to see on your visit to the park. → The museum features exhibits comprised of local history and art that are specially curated to celebrate the Jacksonville area. You will certainly not want to leave the city without touring St. Johns River. One of the most enjoyable ways you can do so is to use the car and passenger ferry, which is run by the St. Johns River Ferry Service. → Among some of the more interesting things that you will be able to watch as you cross the river aboard the ferry are porpoises and seabirds that frequently cross the river. → The ferry ride will covers nearly a mile of the St. John’s River and operates 365 days a year so be sure to stop by this one of a kind attraction while in town. 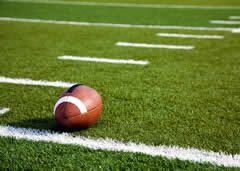 Jacksonville is home to the NFL team the Jacksonville Jaguars. If your visit coincides with a game you can even buy tickets and watch them in action. If your visit in the city is during the summer you can take your family to watch the Jacksonville Suns play baseball at Baseball Grounds of Jacksonville. → EverBank Field is the home of the Jacksonville Jaguars. This massive stadium seats almost seventy thousand people and features the Bud Light Party Zone and the Fan Entertainment Zone Pepsi Plaza, which is a super deluxe tailgating area. → Baseball Grounds of Jacksonville is where the Jacksonville Suns play and it is considered to be one of the top minor league baseball stadiums in the country.